What does Chernyshevsky have in common with the hipster economy? In his radical novel “What is to be Done?” 19th-century Russian revolutionary democrat and philosopher Nikolai Chernyshevsky set out a utopian vision of a socialist society that was "beyond" capitalism. In many ways Chernyshevsky’s work was a description of the kind of horizontal community that has now become so commonplace in the cities of the developed world as the “hipster economy” takes root – but is this ultimately a viable model? 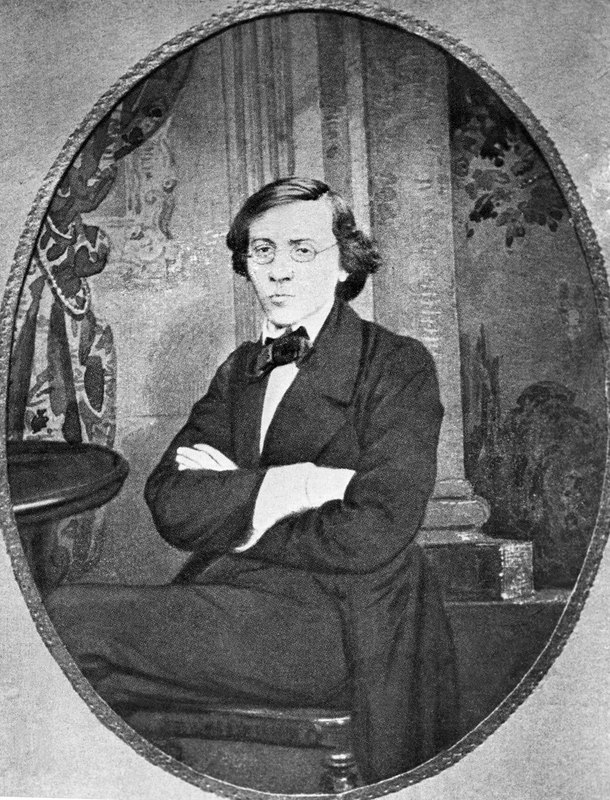 Nikolai Chernyshevsky’s 1863 work What Is To Be Done? has always been difficult to evaluate as a novel – owing to its dense, at times nonsensical prose and the endless pontification of its characters, it has been brushed away as artless. Only Ayn Rand’s novels, written in the following century, matched Chernyshevsky in their combination of utter artlessness with an intense saturation of ideas about a new social paradigm, an unheard-of, and as yet utopian, way that human beings could to relate to one another. But if we abandon the idea of What Is To Be Done? as a treatise or a manifest, and look purely at the relationships constructed between the characters in the fictional part of the work, we see described a type of community whose pragmatic, horizontal relationships, deliberately devoid of coercion, would naturally emerge only in the 21st century. Most importantly, they emerge not because of the utopian ideologies that Chernyshevsky inspired, but in spite of them. The novel itself tells the story of Vera Pavlovna, a young woman struggling to escape a passionless life that her scheming, greedy mother is trying to impose on by marrying her off to their landlord. Seeking independence, she enters into a marriage of her own arrangement with a revolutionary-minded medical student, Lopukhov, and starts a successful business as a seamstress. This plot line, however melodramatic, serves as Chernyshevsky’s venue for the characters to manifest their revolutionary ideals. But the plot itself, despite its shortcomings, is revealing on another level. Somehow, by some miraculous force of will that, again, only Ayn Rand would match, with the “rational egotism” in her artistically meritless characters, Chernyshevsky’s Vera Pavlovna manages to construct a hipster paradise based solely on voluntary association and alternative economy in the middle of the 19th century. Her pragmatic community begins with her own arranged marriage in which, according her own, alternative, protocol, neither member had any claim upon the other – to the point where one’s entry into the quarters of another was strictly formalized. This formalization is, on the face of it, ridiculous: Even the love triangle that ensues was rationalized as the manifestation of social theory, which is never how human relations actually work. But the actual economics of the micro-community that Pavlovna created, ideology aside, were far ahead of their times and, in spite of what Chernyshevsky intended, had strikingly little to do with socialism. At the heart of what made Pavlovna’s world work was effective prioritization. Putting aside the grand purpose of revolution, which, according Chernyshevsky, necessitated the characters’ economic independence, the most interesting aspect of this economic model is that Pavlovna figured out which trivial luxuries were important to her, regardless of whether they were incongruent with what someone of her class or status should require, or even, heaven forbid, if they were relevant to the higher revolutionary cause. If she needed to take a hot-water bath every morning and required cream with her tea, then the next step was finding a way to monetize her skills. To accommodate those requirements, she began work as a private seamstress, quickly creating a network of clients and suppliers who shared similar principles: The revolutionary cause apart, a peculiarly pragmatic attitude emerged towards problem-solving within a collective. Not only were the coercive requirements of family and class tradition, law, and religion eschewed, but this principle of simply getting things done transcended even the ideological context that Chernyshevsky imposed upon his characters. These economic principles of intentional community provided room for a great deal of pluralism, and they are strikingly visible today. If, a decade ago, regular use of a taxi was a luxury that indicated a certain level of income, the emergence of Uber (exactly the kind of alternative economic network that simplifies infrastructure and optimizes cost, much like Vera Pavlovna was able to do with her sewing cooperatives) turned this into a regular whim of the so-called “creative class,” some of whose members may well match the classic, lower-class proletariat in terms of income, but correspond, with regard to certain elements in their consumption patterns, to the upper middle class. Pushed out of the traditional economy, whether due to stagnation or boredom, urban localvores are forming tiny cheese production enterprises with their own, simplified network of suppliers and clients, often relying on little but Facebook. On a more global scale, there is Bitcoin, the alternative, digital currency. What all of these economic communities have in common – and what they share with the kind of economic community Pavlovna inhabited – is that they are neither socialist nor capitalist, nor, indeed, constrained by any sort of economic ideology. If anything, the closest defining principle to the way humans associate within such collectives is horizontal rather than vertical, and, perhaps, anarchic rather than anything else. Libertarians may claim that such communities have no need for government itself – and this is why, paradoxically, the self-styled libertarian Ayn Rand was inspired by Chernyshevsky – but this is not necessarily true. Such communities coexist with government, but they cannot become a replacement. For one thing, the very idea of unrestrained horizontal relations – whether in business or the personal sphere – creates a great degree of vulnerability. On the one hand, there is no coercion where there is nothing binding people aside from mutual interest. But neither is there any guarantee against total isolation for those who cannot integrate themselves into such a paradigm – especially for the elderly or those socially disenfranchised. Which is why, to a great extent, the type of communities described can never be bridled by ideology or, especially, be created by force as part of government policy. Their realm is freedom and spontaneity – but never for everyone.